▲ A bus on Jeju. Photo courtesy Jeju Special Self-governing Province. From Feb. 1, the foreign language bus service information on Jeju will be expanded. While limited services are already available, more information in English, Japanese and Chinese will be added to make transport more accessible to speakers of these languages. Jeju began providing an English language service on its buses in 2013. Since then, foreign language services on buses have slowly expanded. In December 2018, foreign language information was added to bus stops on the island. The province began to build real-time data in foreign languages for its bus information services in January. The service will start in February, and the province says 758 out of 904 bus stops will have the real-time foreign language services available. 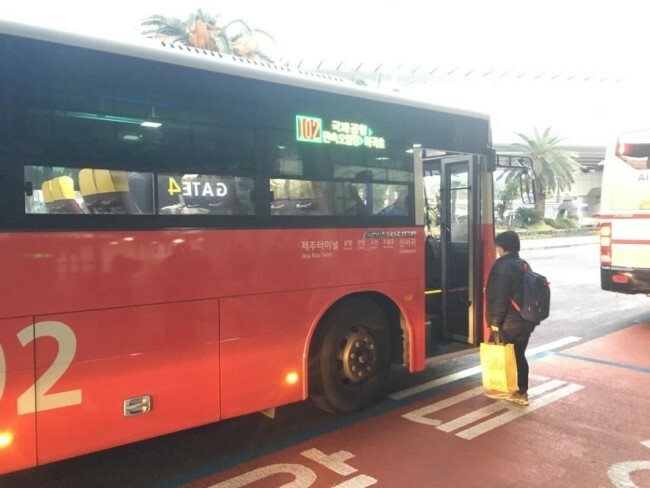 Jeju began a drastic change to its bus service in 2017. This involved updating routes, adding a new express and tourist bus, and installing bus lanes on some of the island’s busiest roads. The latest addition appears to be a continuation of the province’s attempts to make bus travel easy for all.